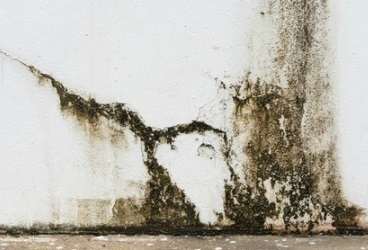 Molds are not just unpleasant to look at; it’s also odorous and bad for one’s health and safety. However, it is present in almost every home and office and it only needs a couple of things to grow and spread. One of its favorite places is the bathroom – the area where water and moisture are likely to be present! Molds can be easily spotted in the bathroom walls and bathtub, and you can remove and place the mold caulking if you own the place. However, if you live in an apartment that would not be the best option as it is expensive, time-consuming, and may still require permission from the homeowner. However, you can opt for a “quick fix” that is almost as effective, simple, and affordable. All you need is to have the right tools and supplies and of course, patient to remove that musty fungus. Aside from the mold that may cause an allergic reaction, it’s important to use protection (gloves and face mask) to protect yourself from bleach – which is a harsh chemical, to begin with. Start by wearing a face mask and gloves. Be sure to keep your window/s and door open before you start. In a bowl, mix water with a small amount of bleach. Soak cotton balls or cotton coils in the bleach-water mixture. Apply the soaked cotton balls directly to the mold in your bathtub and/or shower. Make sure to cover all the areas with soaked cotton balls, including the walls and window ledges. Since the cotton is wet, it will be easy to stick it vertically. Leave the area for at least 2 hours or so, until the mold is completely removed. Close the bathroom door as you leave. After 2 hours, check the area to see if the mold has been completely removed. If not, repeat the process and wait for another hour. However, if the mold is gone, you can remove the cotton balls and throw it into a trash bag/ trash bin. Be sure to wear gloves and a face mask when doing this to protect yourself from the chemical. Leave the area to air dry. If you want to get rid of the smell faster, you can rinse it water. While bleach is one of the common solutions when it comes to mold-related problems, it’s neither the only nor the best option you have. The chemical is only effective on non-porous materials like glass, bathtubs, countertops, and bathtubs; however, it won’t help you deal with the surface underneath. Also, since it is harsh and corrosive, it’s best to check out other safer alternatives when getting rid of mold in your bathroom. Some of this includes vinegar, borax, ammonia, baking soda, detergent, tea tree oil, hydrogen peroxide, and grape seed extract. One of the advantages of using vinegar as a mold removal agent is that it is non-toxic, natural, and safe for you and the environment. Also, it’s easy to use: all you have to do is pour distilled white vinegar in a spray bottle, spray it in the moldy area, leave it for an hour, wipe the surface with a water, and air dry. Aside from being natural and safe, baking soda also deodorizes so you can get rid of the mold’s musty smell. You can mix it with vinegar and apply directly to the infected area or mix it to a spray bottle of water. Once dissolved, spray the baking soda and water solution to the surface, scrub brush to remove mold, and spray the area with the solution again.